North Americans usually associate waffles with breakfast. These crispy indented batter cakes are interchangeable with pancakes and generally served with butter and maple syrup. Both pancakes and waffles can also be served with eggs, sausages or bacon – the clash of sweet maple syrup with smoky crisp bacon being a distinctly American combination. Although our family liked our breakfast waffles sweet, we stopped short of piling fruit over them, or covering them with chocolate sauce with dollops of whipped cream or scoops of ice cream. 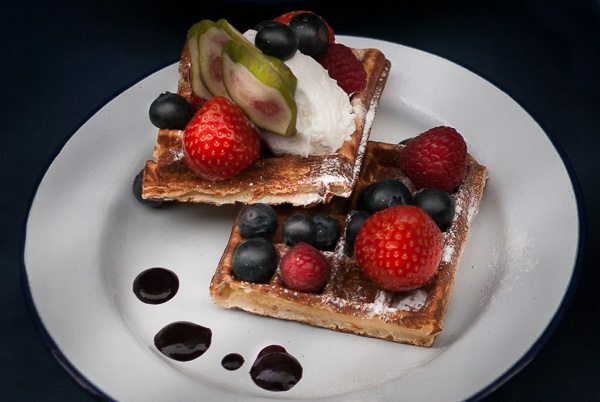 But it makes sense – a waffle is a sound base for all manner of sweet and fruity treats. The Belgian’s understand this and make their own versions of sweet waffles as interpreted in the famous Brussels, Liège and Flemish style of waffles. The ‘Brussels’ waffle (or ‘Belgian waffle’ as it is commonly known) is lighter and thicker than an American waffle, and since its introduction to America in the 60’s, has grown in popularity. I first encountered a Belgian waffle in a restaurant in New York City. I was travelling with my family from Southern Californian to the UK. It was winter and indescribably cold. With our light Californian jackets we were beginning to freeze when we found refuge in a warm and cosy ‘Belgian Waffle’ cafe selling hot waffles. What we did not realise was that these Belgian waffles were only sold with ice cream. For a young traveller thrust into the unknown and freezing world of New York City, the experience of eating a waffles and ice cream became an important and vivid family memory. The Belgian waffles we ate in New York were also memorable for being a dessert, not a breakfast. It seems the waffle is anything, if not versatile: in the North Eastern states of America they are served with pulled chicken and gravy – and in the Southern states with deep-fried chicken. 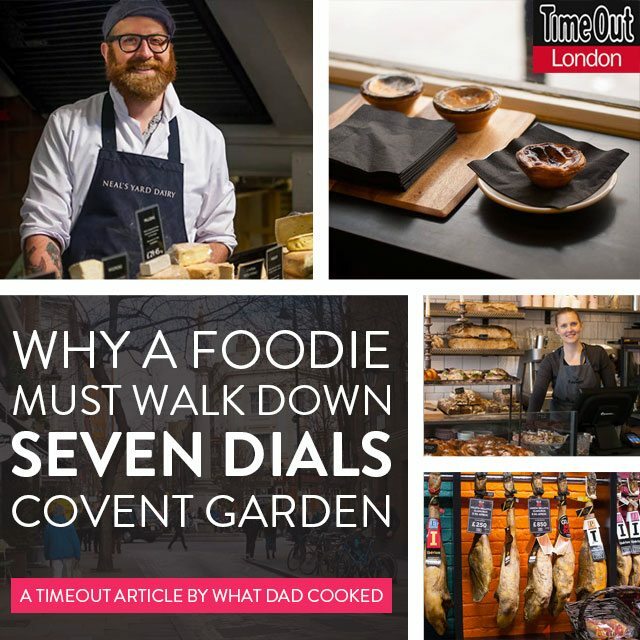 In the UK, Chef Dan Doherty replaced the chicken with duck and created the now iconic – and much photographed – ‘duck and waffle’ dish for his London restaurant of the same name. The dish is served with a savoury fried egg and duck leg but also comes with mustard-flavoured sweet maple syrup. But is this dish to be eaten for breakfast, lunch or dinner? The restaurant offers no clues because it’s on the menu morning, noon and night. American ‘chicken and waffle’ is similarly ambiguous and eaten throughout the day. It appears that when it comes to waffles there are no rules – eat them whenever and however you like!